Membership costs £25 for a year and allows free entry to all lectures. The Society’s year starts on 1 April and annual subscriptions become due on that date, but you can join at any time of the year. Click here to download an application form. 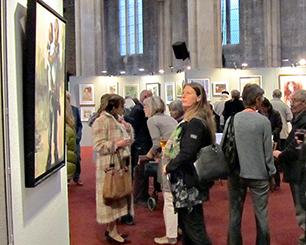 If members wish to participate in our exhibitions they must first go through a selection process which takes place twice a year, in Spring and Autumn. The selection committee is usually made up of one committee member and two exhibiting members of the society. The composition of the committee is different for each selection. If you wish to be considered for exhibiting status this should be indicated on your application form, or contact the New Member Co-ordinator. Selection days for 2019: Saturday 1st June, Saturday 12th October. 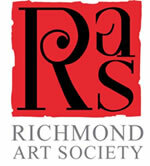 Welcome to Richmond Art Society, we hold two major exhibitions each year and a substantial lecture programme on artists and art history. We welcome new members to the Society, to find out about joining click here.